I am a fan of the sound of Asian instruments. Recently I am practicing to play the GuZheng, and I integrated the fascinating sound of the GuZheng within some of my tracks - successfully I hope :-). 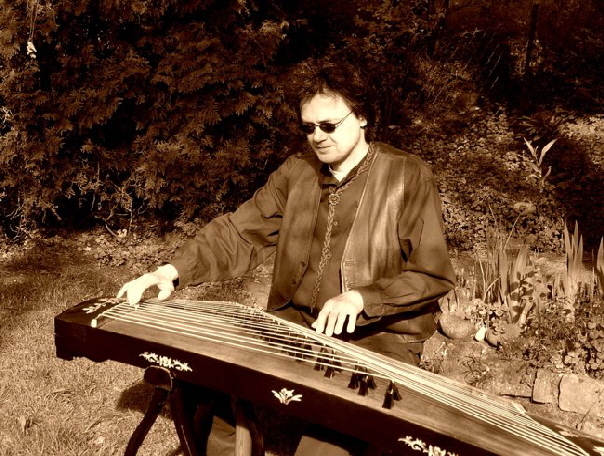 I offer you here a free download of a software instrument of my 21-string GuZheng (Chinese zither). I would like to give interessted musicians the possibility to experimentate with the fascinating sound of a GuZheng. I recorded all samples by myself and created a sample instument in the Kontakt 3 format of Native Instruments. You may use this software instrument for private or commercial purpose. It is not allowed to sell the instrument or the samples however. It is not allowed to include the instrument in a library and to sell it.